I can admit it, I wasn’t blessed with beautiful Angelina Jolie lips. They are kind of smaller, well a lot smaller, okay fine substantially smaller. In my days I have tried the plumpers, the liners, the badabings and badabooms but found it hard to find something reasonably priced that actually worked and lasted! Cue Mac Lipglass – Underage!! Dunndarraaaaa! I was going through some old makeup and found this little miracle worker. And just like I use to do when I was a little girl, I did again. Started playing with makeup. First was the lipstick, then the eyeshadows, the liner… I still remember when I was young, as my momma would be sleeping I would creep into her room and paint myself silly with anything and everything I could find in her makeup drawer… needless to say she would wake up shocked everytime. Oh boy, if I have a girl my hands are going to be full. Hahaha! Back to the topic at hand, juicfying your lips, MAC’s Underage is amazing. I have never been too much a fan of lip glosses, vaseline, chapsticks… I have never really liked the feeling of the smooshiness on my lips. Don’t get me wrong, this is still a bit sticky but it just makes your lips look sooo much bigger and pouty, that the stickness makes it all worth your while. Try Googling the name. A lot of girls like to take the selfies with this on. Best part, judging by Google Images it works on all skin tones. I’m no mathematician, but judging by what I look like in the mirror… I would say I have increased my juiciness by 40% EASILY! Give it a trysys! 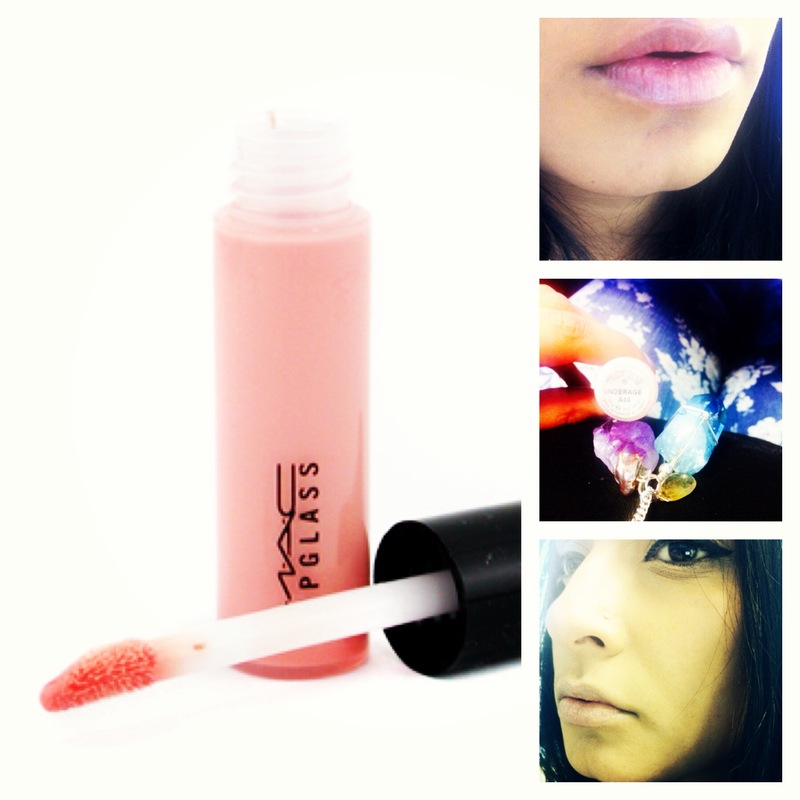 Best part about MAC, you can always have one of those pretty girls (sometimes boys) put it on for you before you buy it! On a side note, when I apply this I usually do the fancy (not really) finger tapping technique to get rid of the excess gloss. Give it a try, you won’t stop staring at yourself at every mirror you pass by. Its kinda been the story of my life today.